1. First Of All Just Collect The 100% Cashback Upto Rs.150 Coupon From This Page – Click Here. 2. First Of All Just Visit The Swiggy website or app. 4. Fill Out The All necessary Details Like Address & Etc. 5. 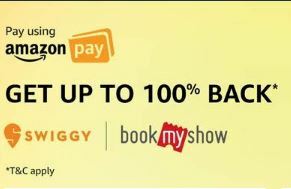 On Payment Page , Apply Promo code – ORDER50 (Valid For New Swiggy Users , So Make New Account).